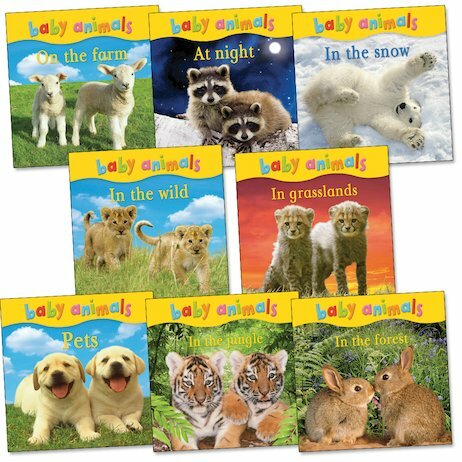 This gorgeous Kingfisher series introduces starter readers to the animal kingdom by giving them a close-up look at its cutest babies. Full-colour photos show young animals in a huge range of settings, from rainforests and polar lands to woodlands, farms and gardens. The heartwarming pictures of each fluffy baby are supported by lively text that young children will love to read and share, combining plenty of surprising facts with animal noises and actions. Build literacy and a love of nature by exploring this adorable theme – and see how many of these babies you can spot!